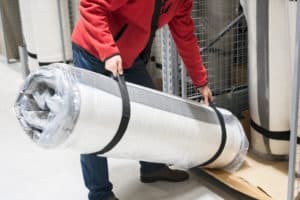 When it comes to mattresses, off-gassing refers to the chemicals from the foams, glues, and fire-retardants that are being emitted into the air. 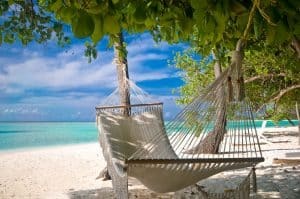 Specifically, the types of materials that are found in mattresses are acetone, benzene, formaldehyde, and methylene chloride. Such chemicals are named VOCs, (Volatile Organic Compound). These are emitted as gases from the solids that are derived from the mattress. Concentrations of many VOCs are consistently higher indoors, (up to 10 times higher), than outdoors. So it gives off a very distinct smell, most say it resembles the smell of cleaning supplies or a, “new car smell”. Should I Be Worried About Off-Gassing? VOCs, (Volatile Organic Compound), can have short-and long-term adverse health effects. Some side effects of the off-gassing are irritation in the eyes, throat, and nose, and it may cause asthma. Just as comfort is subjective, chemical sensitivity is subjective as well. It varies from person to person. It really boils down to how chemically sensitive you are. Some people are very chemically sensitive where in they would need a completely natural mattress. To some other people, this issue not a priority. But for those of us that want to be responsible consumers, this is good information for us to have handy. Yes! There is a solution, if you love the feel of memory foam or a polyurethane foam, Certipur is your answer! Certipur is a non-profit organization that serves as a certification program that tests polyurethane foams to give consumers confidence in the foam they’re buying. They have rigorous standards placed on foam producers. Part of their standard is that they do not accept any foam made with Mercury, lead, other heavy metals or made with formaldehyde. Here at Mattress Makers we only use foam that is certified by Certipur. The other option, and most preferred, is buying Latex! It’s a natural material with no harmful chemicals! It lasts 3 to 4 times longer than foam and it sleeps cool! These are the two options that are available for consumers that are worried about chemicals. As we learned, off-Gassing is the the result of VOCs being emitted into the air. Those VOCs are the toxic chemicals that are used to make the mattress, which we learned can be harmful for either the short or the long-term. There are solutions though, first with Certipur. The second and most preferred option is Latex, its a natural material with no harmful chemicals, lasts 3 to 4 times longer than foam and sleeps so cool! 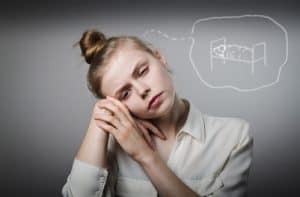 This information was provided in order for you to make an educated purchase, but it’s ultimately it is up to the sleeper to decide if they find it a priority to sleep naturally. 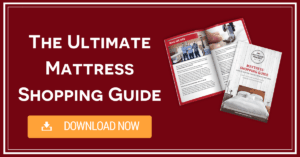 If you are currently on your mattress shopping journey download our FREE Mattress Shopping Guide to make sure you find the perfect mattress for you. Just click the image below to get it!